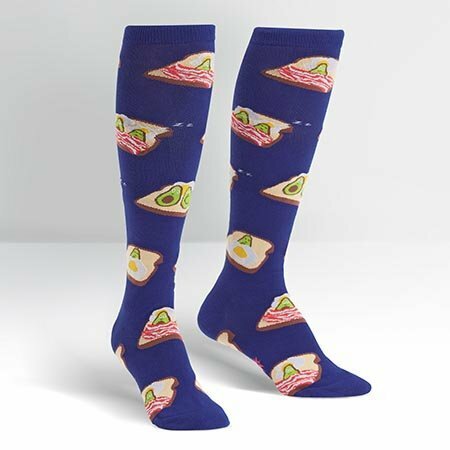 Breakfast in Bed Knee Socks by Sock It To Me. 58% Cotton, 39% Polyester, 3% Spandex. Approximately fits women's shoe size 5-10 and men's shoe size 3.5-8.5. Made in Korea. Sock It To Me's threads are certified by OEKO-TEX Standard 100, which means they leave out harmful chemicals to keep your skin safe and happy.